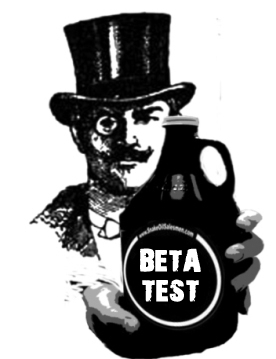 Snake Oil/Public Beta Test will cure all that ails your game! A game called ‘Destiny’ got released this week, you might have heard of it. I was very outspoken about it. It was in a polite debate with others when beta testing got mentioned, I then got the itch on a serious scratch. Do people even know what a beta test is? Do they understand what it can or can’t change with a game? Do they even know what professional beta testers even do? a trial of machinery, software, or other products, in the final stages of its development, carried out by a party unconnected with its development. Did you read that? FINAL stages of development. I’m rehashing the debate of so many fans of games with sequels, when they complain the game has become inferior with subsequent copies, that a public beta would ‘fix’ the game in question. Halo is the best example in my gaming corner of the universe where the debate that ‘Core Halo Gameplay’ is missing and that a public beta test would help fix this in the next version of Halo. If CORE gameplay, mechanics are broken in a game, beta testing won’t fix it. That would be something an alpha testing round would first of all determine and then either fix or skip. But once your past that point, where the engine basics are set, you are limited to change to essentially the arrays for variables like speed, accuracy, damage of certain objects ect ect. Things that are effectively data in arrays that are always tweaked throughout a games existence pre and post launch. It IS possible that a combination of these ‘external engine’ arrays can modify gameplay a lot. But if you don’t like the mechanics of a game, that’s a huge bit of work to fix, if it even can be fixed without domino effect or patch spaghetti coding, that effectively throw the QA people to pull the switch and go back to alpha testing. this would be throwing a project into reverse and in the case of a AAA title, costing literal hundreds of thousands of dollars if not millions when you factor in potential loss of sales. Do we have a precident? Perhaps… I mean closed beta testing, which happens the vast majority of the time could be behind a game that has been pushed back, but what last AAA title besides Watchdogs had a major push back on release date? It is just something that doesn’t happen alot. But my point is, If there is an engine glitch, unless its a game breaker when flagged only in beta, it normally won’t be changed. I have brought this up before in other blogs. But now have heard it in podcasts about OTHER games. So it’s all about misinformation. People calling for Beta Test to help their favorite game in most cases don’t understand how testing builds work. I’ll also go on the record that most public beta testers don’t give decent feedback, they basically just like having the game early. I spent a few years doing the often archaic style bug reports when I worked in game testing, where it was a lot more serious because it was our job. That doesn’t mean the layman can’t be a good tester, it’s just the vast majority of public beta testers don’t understand WHY they are beta testing. Trust me folks, after doing bug/summary reports on dozen if not hundreds of games on various projects, if you ever had to do this after every games like you were supposed to, you would not always be eager to be a tester. Not at alpha level for sure and as far as beta is normally a mass of checklists of things you have rooted out for weeks if not months and can be very tedious. In many cases, a real professional tester often rarely and sometimes never plays a game after going gold. By that point, your sick of it! YES, beta testing can help solve annoying issues like say the infamous Halo Reach beta grenades which were CRAZY strong and got nerfed for gold version. But these type things are usually tweaked going forward anyhow when a non public beta fails to catch it. These type changes are polish. Whereas core game mechanics are ore the guts and can’t be solved without major overhaul through beta testing. I know.. I know.. I brought this up before in previous blogs. But I want to stop the misinformation that’s now creeping into a lot of games pitching Public Beta like a snake oil salesman in increasingly more posts I read. You make some good points here man. I still feel like beta tests are a good way to trail balances and server strain. You just have to look at the launch day for games like Halo4 and GTA online to see that sometimes a server set up isn’t ready for the sheer numbers coming through the gates on day one, those issues could’ve been picked up on and fixed in time for release had there been a beta for them. Something like BF4 however where the net code is just plain broken couldn’t have been saved by a beta test. I can’t speak for Xbox one owners but the Destiny servers have purred like a friendly lion for us on ps4 so far and that’s the kind of thing a beta test certainly helped them to perfect. The idea of using a beta test to create balance is a good one but as you say these are things that will be tweaked throughout the lifetime of a game, having the beta test will alleviate peoples concerns come release date though, can you imagine how wild the community would’ve gone had Reach been released with those grenades? In this way the devs are using the beta to reduce the workload after release, as you say by the end of testing you are often sick of a game, imagine how sick of code a dev is after 5 years working on it? Best to make sure it plays well before release so they can take a well earned few days rest before getting back and rebalancing all those stats all over again.